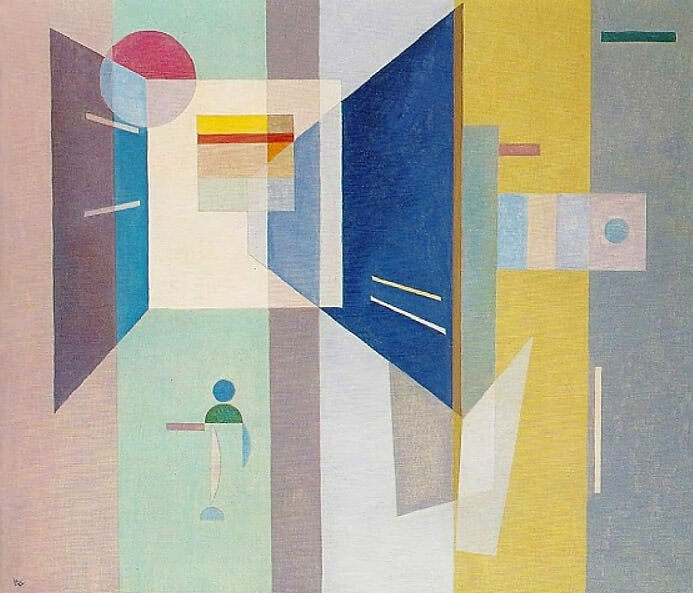 Flat shapes and trapezoid projections arranged in left-right succession of softly-colored vertical planes give a sense not just of space and depth but also of directional pull. Copyright © 2011 www.wassily-kandinsky.org. All Rights Reserved.